Be sure to ask for seed varieties especially suited for home growing. Commercial seed varieties have been bred for toughness and long shelf life in the supermarket at the expense of fragrance and flavour. You can plant more fragile, and more tasty, vegetable and herb varieties in your hydroponic garden. 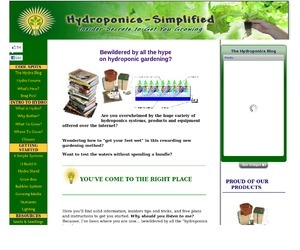 Because very few seeds have been developed specifically for hydroponics, there are some hints to keep in mind. As an indoor home grower, you are better off with a bush or patio tomato, rather than a vine type, because of the unwieldy height the vines may grow to. Self-polli' nating cucumbers are the easiest to use indoors, but if you take your garden outdoors, the self-pollinating cukes will be pollinated by insects and grow deformed. Leaf lettuce will yield a high volume of leaves in a few weeks, while head lettuce takes a bit longer. If you decide to use head lettuce, why not treat it as leaf lettuce and simply pick the leaves fresh for your salads. Boston and Buttercrunch are two popular varieties. Other than these general considerations, go ahead and use any seed that interests you. Besides obtaining seeds from garden centres and hardware stores, there are other, more interesting ways of getting them. 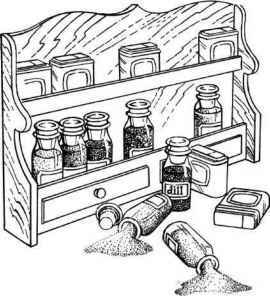 Your spice rack is a fascinating source of seeds: coriander, caraway, mustard (great salad greens, by the way), celery, pepper, chili, fennel, dill and anise. From your pantry you can plant dried beans, lentils, chick peas, plain peas (not the split kind), and so on. Your table is another good source. If you like the taste of a cucumber, squash, tomato or melon, save the seeds and plant them with the pulp still clinging to them — that way they'll germinate even faster than dried seeds. It won't always work, because the seeds may have come from sterile hybrids, but it's fun to try. You might also want to let your healthiest plants go to seed and use them for your next planting. Sometimes this gives superb results, but when hybrids are involved, it may not always be successful. 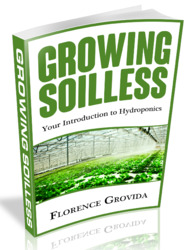 You can plant seeds directly into your hydroponic garden, although the cautions concerning the flood and drain system mentioned earlier should be kept in mind. With a flood system it would be better to seed in jiffy pots, and at the right stage of development place the plant, jiffy pot and all, in your growing medium. In order to keep your main unit functioning at full capacity, you might wish to build or buy a smaller "nursery" tank. Raising seedlings in this way makes it possible to locate your plants precisely where you want them and to replace harvested plants with already grown seedlings raring to go. Figure J 5, Tuck your seeds inuj i/ie jqrwing medium no deeper than one-half inch.